Approved Curriculum for HSE Level 1, 2 and 3. This qualification is designed to provide candidates with understanding the skills, principles and practices of workplace safety. This level provides a starting point from which more detailed training in level 2 can follow. This level is suitable for beginners and anyone in the workplace environment. This qualification is designed to help improve the workplace culture by enabling learners to understand the basic principles of risk assessment. 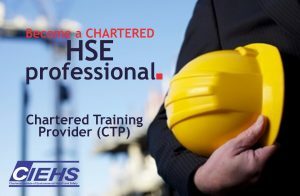 Course is suitable for anyone in a work environment as it raises learners’ awareness of the concept of risk assessment. Key elements of a Health and Safety Management system. Risk Assessment concept and case Studies. This qualification is created to provide an awareness of key environmental concepts and an introduction to environmental management systems. Course is suitable to everyone whose activities could have a significant impact on the environment, or those introduced to environmental issues for the first time.